UltimatePlus Hospice aims to help our clients who have life-limiting illnesses go through the last stage of their lives without pain but with dignity. Through hospice care services, our clients and their families receive the right support, whether physically, spiritually or emotionally, to help them get through this situation. You or your family member can take advantage of our hospice care services right at your own home or in a facility. 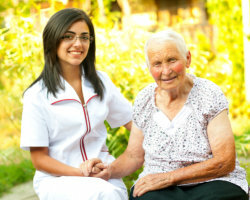 We wish to help you and your loved ones in your situation as hospice care is what we do best. For your inquiries and concerns, you may get in touch with us through our phone number 214-427-8227.